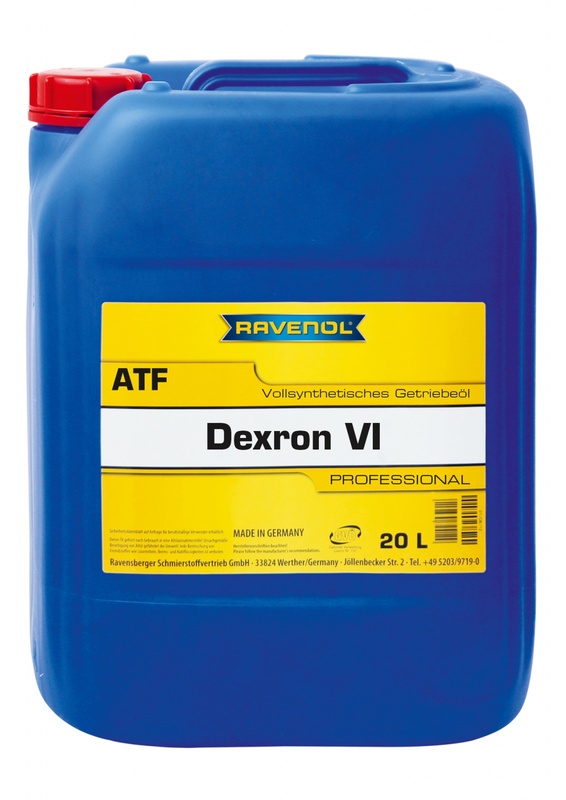 RAVENOL ATF Dexron VI is recommended for all GM vehicles with hydramatic automatic transmissions from 2006 onwards, and is also backwardly compatible and suitable for use for DEXRON III H, DEXRON III and DEXRON IIE applications. It also meets the requirements for other manufacturers as listed below - please follow the recommendations of the instruction manual of your vehicle. General Motors - License No. J-60331. Exceptional resistance under hard operating conditions ensures long fluid life. Longer oil life extends the durability of the transmission, offers longer changing intervals. Excellent resistance to oil sludge and deposit accumulation. Much better oxidation resistance and thermic stability than DEXRON III (H) ATF. Exceptional corrosion protection, and enhanced foaming resistance. Excellent cold-flow behaviour at low temperatures. Much better fuel economy potential and torque transfer than DEXRON III (H) ATF. RAVENOL makes a good quality Dexron 6 synthetic oil.